If you read my blog, you know it’s pretty much the same old thing. The subjects might vary, but the style is … Shayne. I write about ideas, about God, and about culture. I’m fascinated by the place that ideas and God and culture meet. Today, in a middle of the week blog post—that doesn’t usually happen—I wanted to change things up a little. 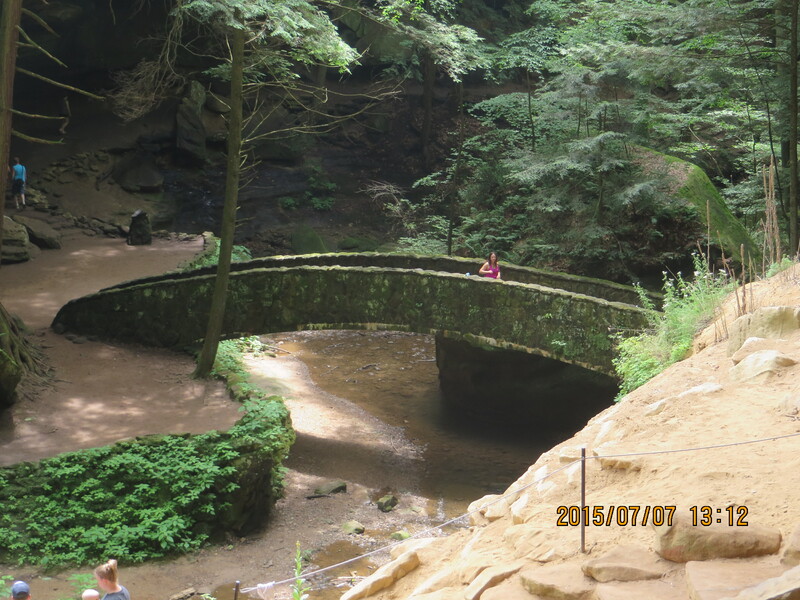 Instead of writing about God and ideas and culture, I wanted to tell you what happened on my vacation. My wife Karen and I, together with our son Brian (in from Santa Barbara for a couple of weeks) and our son Kevin, daughter-in-law Beth and grandson Phinehas, went on a short vacation. 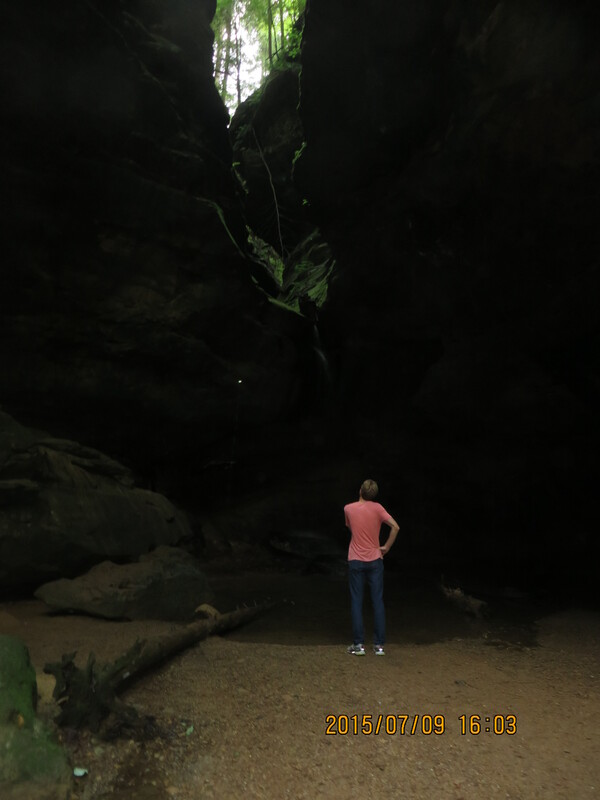 We drove to the Hocking Hills area south and east of Columbus, Ohio. Karen and I have been there before, but the rest of the family has not. We try to go on some kind of vacation every year, but planning a trip for all of us is a nightmare. Our oldest son Joel is a teacher in Waco, Texas, and a PhD candidate at the University of Aberdeen, Scotland, in theology. Our next oldest, Brian, lives in Santa Barbara, California, where he is working on a PhD in philosophy. 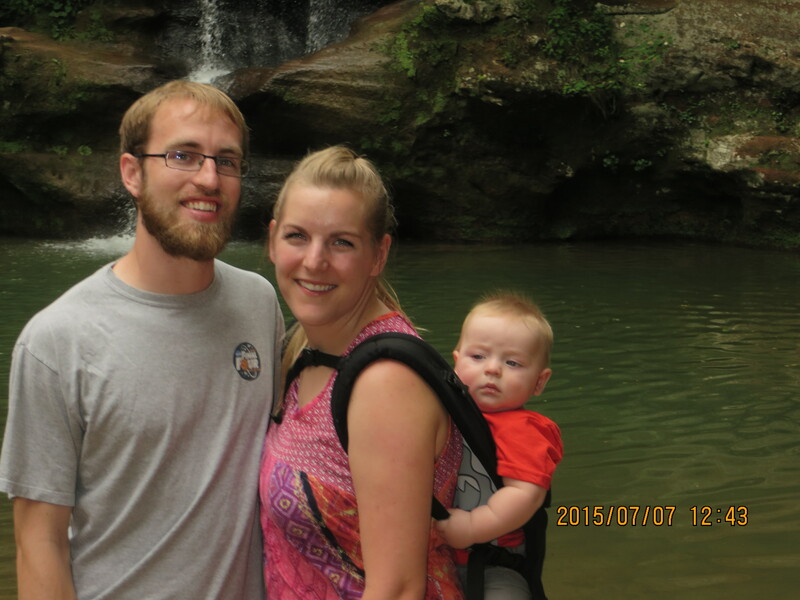 Our youngest, Kevin, and his wife Beth and their son Phinehas, live here in Coldwater, Michigan. Kevin is the youth pastor at Lockwood Community Church. Finding a week when we are all free is usually next to impossible. This year it was impossible. I tried hard to make it happen. We juggled dates, tried early and late, but couldn’t all get free for the same week. Disappointed, I made arrangements to vacation last week, sans Joel. Or I thought I did. 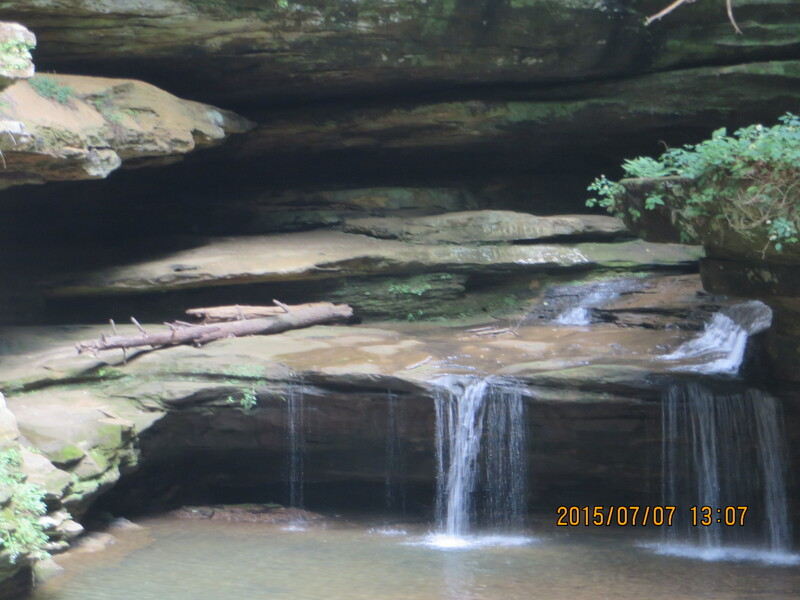 I reserved a cabin in the beautiful Hocking Hills from Gary and Karen at Creek’s Crossing Cabins. On Monday, just an hour out from our destination, I realized I did not have the directions to our cabin, so I stopped at a Macdonald’s for dinner and internet. I found Gary’s phone number online and called for directions. I left a voicemail and, a few minutes later, Gary called back. I was stunned. “Not until next week?” What were we going to do? I asked if I could get my money back, minus a deposit. But Gary reminded me that the rental agreement stated that no money would be returned within a week of the reservation date. But a few minutes later, Gary called back. He said, “I’ve got an idea. We can put you up in another of our other cabins for one night. Then we’ll figure out what to do from there. We’ll get you taken care of.” So Gary met us at the first cabin, planned to move us to another cabin on Wednesday and said he would try to find us a different place to stay on Tuesday. On Tuesday, he called and told us he’d found another owner who had a cabin open for Tuesday night. I was grateful for the work he’d gone to, and asked how much the other cabin would cost. He said there would be no charge. He would take care of it out of our original payment. He didn’t have to do that for us. 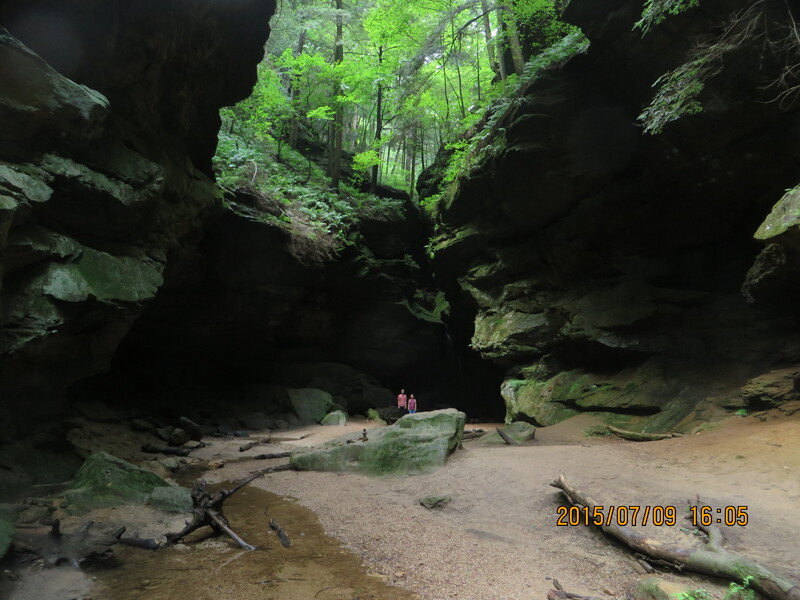 He didn’t have to find us accommodations or move us between open cabins. He could have just turned his back on us. But he didn’t. He helped rescue our vacation and saved us a lot of money in the process. So I’m telling the story of how a man I didn’t know treated me like a neighbor and friend. Jesus, following the Law of Moses, told us not to turn our backs on our neighbors but to love them as we love ourselves. He then went on to explain that our neighbor is the person near us who happens to be in need. Last week, I was the needy neighbor. Gary was the guy who didn’t turn his back.